Karndean’s Looselay tile does not use glue or staples, nor does it use any “click lock” system to keep the tiles in place. 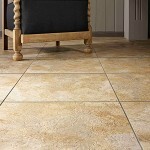 What Karndean has done is put a backing on each tile that is made with material that grip the subfloor. The tiles are what is called dimensionally stable, meaning that they will not expand or shrink whatever the moisture levels are. 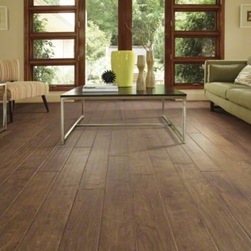 The Karndean loose lay vinyl tile and plank is also thick and heavy which helps with its stability. In 2012 American Carpet Wholesalers of GA had the loose lay vinyl plank installed over a clean concrete surface with no additional padding. The non-adhesive backing on the Karndean loose lay not only holds the product in place it is an effective sound buffer and is able to act as its own padding. Nearly 4 years later it is almost impossible to tell which plank just came out of the box and which has been in use in the showroom! Replacing a plank to show how seamless the new and old look together. The installation in this case was pretty straight forward and would be relatively easy enough for most to tackle as a DIY project. 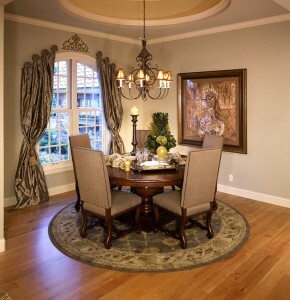 However, if your room has a fireplace or other sections that could give you issue you should consult with a professional installer familiar with the Karndean loose lay vinyl plank products. 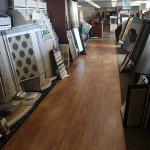 Visit American Carpet Wholesalers on the web to view a wide selection of Karndean loose lay or other Karndean flooring products. 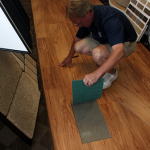 Or you can call (800)548-2706 to discuss your flooring options with a ACWG flooring expert and, as always, the showroom is open to the public and features a large Karndean showcase area to see the product samples in person.